Yoohwan Kim is a computer scientist who conducts research on blockchain scalability, data privacy on blockchain, blockchain application architecture, and smart contract applications. His other research interests include computer networks, data analytics, secure network design, unmanned aircraft systems (UAS) communications, and cyber-physical system (CPS) security. He has spearheaded an effort to develop a cybersecurity major at UNLV. Kim has published over 90 papers in peer-reviewed journals and conferences, and has six patents that are granted or pending. 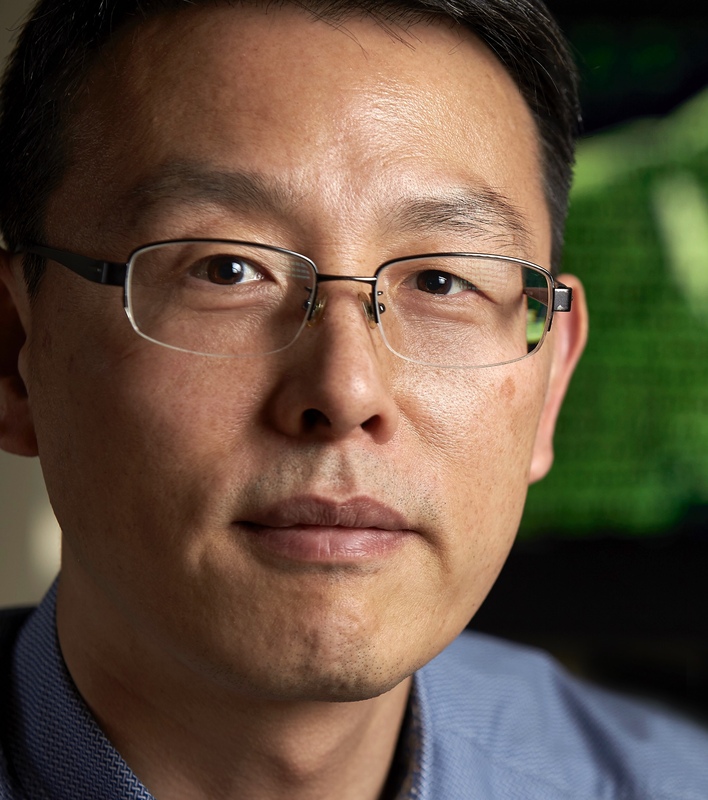 His research on distributed denial-of-service attack prevention established a foundation for a field called Rate-Based Intrusion Prevention Systems. His research has been supported by Microsoft Research, the United States Air Force, the U.S. Navy Air Command, Oak Ridge National Laboratory, NASA, National Nuclear Security Administration, National Security Agency, and the National Science Foundation. Prior to joining UNLV in 2004, Kim gained broad experience in the IT industry. His resumé includes working as a software engineer at Lucent Technologies to develop wireless networking equipment, a management information systems consultant at Andersen Consulting (now Accenture), and a database programmer at Cleveland Clinic Foundation. He also co-founded a technology start-up for internet advertising. As the world begins to learn about blockchain, a local professor is up to speed because he's been doing research on the new technology for about two years. Demand in the cyber security field is relentless, but no one seems to want to do it the job. In fact, in Las Vegas, the lack of cyber security specialists has been a problem for a long time. New cybersecurity minor paving the way for a new bachelor's in the field — making UNLV one of just a few universities in the nation to offer such a program.